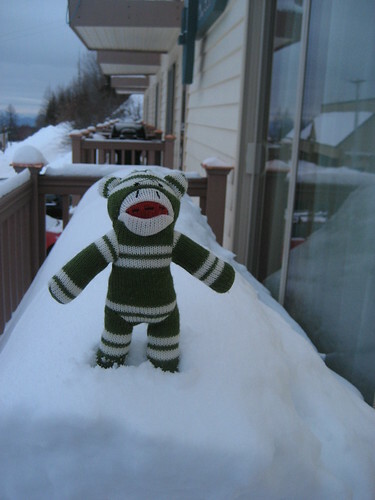 Sock Monkey seemed to enjoy the view from the top of the snow pile, but he disappeared inside when it was time to shovel all this off the deck. What a cute sock monkey!! Sock Monkey knows what’s good for him!